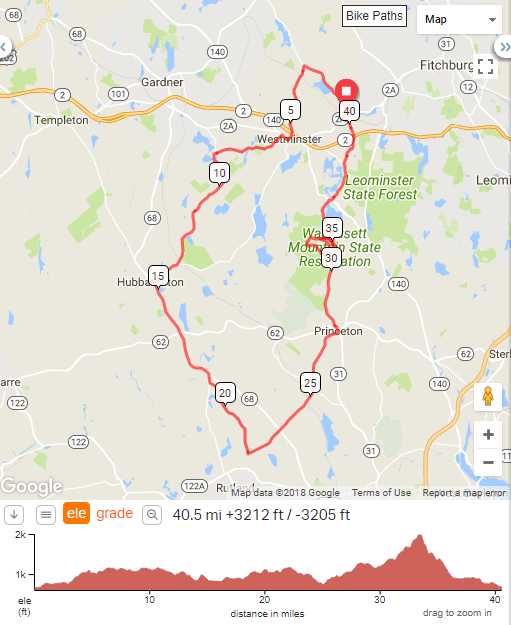 The Wachusett Fondo p/b Minuteman Road Club is back this year (reg now!) with the addition of Tim Johnson of cyclocross fame! Tim Johnson is a 6 time Cyclocross National Champion and has a multitude of other palmares in cyclocross as well as on the road, including multiple podium finishes in the CXGP, a 1st place in the Herald Sun Tour as well as wins at our very own Sterling and Harvard road races. Join Tim and get ready for some adventure as we ride through beautiful central Mass. A challenging route with 3-4 gravel parts heading north & west thru beautiful town commons. Complete the loop with more gravel to tackle Wachusett Mountain from the less commonly taken North Road. 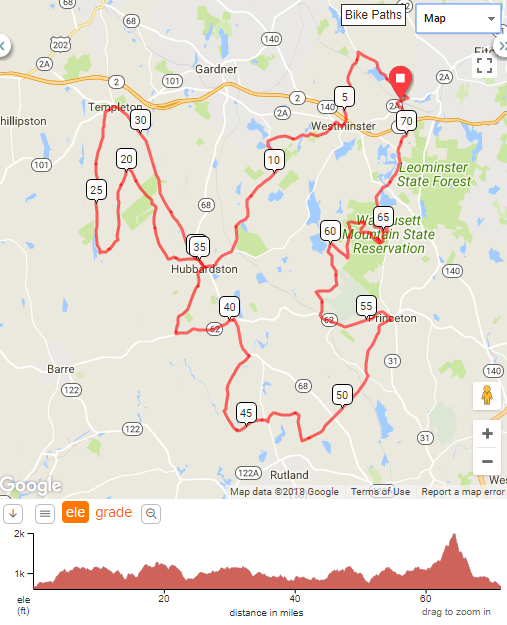 A shorter loop that is all paved but with wonderful scenery and includes an optional ascent of Wachusett Mountain via the auto road. Proceeds from the event will benefit MassBike. The Massachusetts Bicycle Coalition (MassBike) promotes a bicycle-friendly environment and encourages bicycling for fun, fitness and transportation. MassBike works with lawmakers to create laws that make sense for the safety of all bike riders and works with state, city and town officials to enforce existing laws. They work through education and outreach to better the knowledge, awareness and skills of both bicyclists and drivers. A 501c3 non-profit, MassBike relies support from members, donors, and sponsors. Follow Minuteman Road Club on Facebook, Instagram, and Twitter. Follow MassBike on Facebook, Instagram, and Twitter. Follow Tim Johnson on Facebook, Instagram, and Twitter.